The mountains and jungles and the rivers, are full of useful medicinal herbs. That is why Parali JyotirLinga is also known as Vaidyanatha. It is here that Lord Vishnu successfully helped the Devas to obtain Amrit. Therefore, this place is also known as ‘Vaijayanti”. Once the Demon King Ravana went to Kailasa mountain and did a severe penance to please Lord Shankara. Put up with cold, heat, rains and fine and even then when Lord Shiva did not appear before him, he began to cut his head off in order to offer it to the ShivaLinga. Then the Lord appeared after Ravana tried to offer his tenth head. He restored all of Ravana’s heads and granted him boons. Ravana expressed his desire to take Lord Shiva to Lanka as a boon. He said, “I want to take you to Lanka”. Shankara, who is very soft hearted to His devotees, agreed to accompany Ravana to Lanka. He told Ravanan, “You must carry my Linga with care and devotion, but do be careful not to put it down on the earth until you reach your destination, or else, it will stay at whichever place you put it down” Shiva cautioned. Ravana began the journey homeward carrying the Shivaling. On the way, he wanted to relieve himself by urination. He bid a cowherd boy to hold the Linga while he relieved himself. The cowherd was not able to bear the weight of the Linga and when he could no longer hold it, he put it down on the earth. And the Shiva Linga put there stayed as Lord Shiva already ordained and came to be known as Vaidyanatheswar. Here, the gods were sad about Ravana taking away Shiva to his Lanka. They requested saint Narada to do something. Narada met Ravana and said to him by way of praising his penance and Tapas. “You made a mistake in trusting Shiva. Believing Shiva’s word was wrong. Go to him and slander him and get your way. Go to Kailasa and move it entirely. Your success will be gauged by your art of moving Kailasa from there”. Ravana was tricked into believing Narada. Ravana promptly carried out Narada’s bidding. 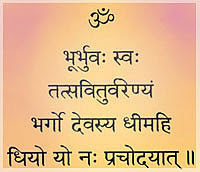 Lord Shiva saw the ego driven mischieves rAvaNa and told him: “A unique power is soon going to born which will destroy your pride in the strength of your arms”. Narada informed the Gods of these tidings and his success in his mission. The gods were relieved and were happy. In the meanwhile, Ravana too was happy with the boon he received from Lord Shiva. He returned and was in a trance and was under the influence of Shiva’s mythical power. He was heady and drunk with power. He decided to conquer the entire universe. To subdue his ego only God had to descend on the earth in the Avatar of Rama. Near Parali Village, the temple is built with stones on a high mound. The temple is surrounded on all four sides by strong walls. The insides have corridors and a courtyard. Outside the temple there is huge Deep Stambh or pillar. The main gate or the Mahadwar has a Minaret nearby. It is called a Prachi or Gawaksha, i.e., window. With the help of the location of these special prayers are held for Sun God, based on the sunrays falling through these windows, directly on to the Lingamurthy. There is a strong, wide staircase to enter the Temple. It is called ‘Ghat’. The old Ghat was built in the year 1108. The inner portal of the temple and the court hall are both of the same size. Therefore, the deity’s Darshan has to be done from the courtroom itself. No other place has this type of arrangement. At other places, the inner portal or the Garbhagriha is visually deep. The Lingamurty at Vaidyanath is made of Shaligram stone. It is beautiful and very smooth and is in a benevolent attitude. On all the four sides of the temple, Nanda Deeps (lights) keep burning. 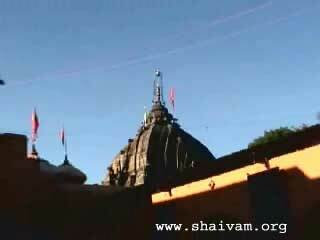 Vaidyanath temple was renovated in the year 1706 AD, by Shiva devotee Ahalyadevi Holkar. She obtained some special stones from the nearby mountain range of Trishula Devi range, which is close to Parali. This place was Ahalyadevi’s favorite. Late Nanarao Deshpanda built the wonderful court hall of the temple. The artisans were brought from the village and with the help of the devotees. A Rama Rajeshwar Mahadev Temple too is built in memory of them near to the Vaidyanath temple. With in the premises of the Vaidyanath temple itself, there are eleven more temples for Shiva. The Veerashaiva Lingayats consider Vaidyanath Temple as the best. Srimant Pershwa donated a large piece of land as an endowment to the temple commission. Today this establishment works through a committee. Several auspicious events are arranged here. Travelers can stay here in comfort. Just as Parali is a place of pilgrimage for Shiva devotees, it is also a meeting point for Hari Hara. In this mixed holy place, Lord Krishna’s festivals too are celebrated along with Lord Shankara’s festivals, with great festivity. The water from the Harihar Teerth is brought for the daily worship of Vaidyanath. Every Monday devotees gather here in great numbers. On Chaitra Padva, Vijayadashani, Tripuri Pournima, Maha Shivaratri and Vaikunth Chaturdashi, big celebrations take place. During these celebrations, there is no distinction between Bel and Tulsi. Mahadev is offered Tulsi leaves and Vishnu is offered Bel leaves. This unique practice is seen only in Vaidyanath. During the rainy season (Sravan) worship of Vaidyanath, the entire area of Parali echoes with the chanting of Rudrabhisheka Mantrochchar. The regular Puja is also done with great devotion and dedication. Markandeya, obtained his boon of life here in Parali from Vaidyanatha. This story is from Shivapuran, Markandeya was not blessed with a long life. Yama wanted to take his life in accordance with the time of Markandeya’s life. But Shiva released him from imminent death and from Yama. A pond is named after him. It is here that this happened. The story of Satyavan and Savitri too is based in Parali this holy place. On the Narayan mountain, the Vata Vriksh or Banyan tree of Savitri’s story, is still here to be seen. There is a temple of Vateshwara there. King Sriyal and Queen Changuna’s dear son Chilia, came to life due to the kindness of Lord Shiva in Parali Vaidyanath. Lord Ganesha’s idol without the usual trunk and in a sitting posture like a body builder can be seen here. Great saints like Vakrebua, Dhundiraj, Yamaraj, Vishweswar, Guru Lingaswamy lived here. Their holy touch has made Parali even holier. It is a place of pride for Maharashtra. Na Karoti naro yastu Janma nirardhakam”. Why the kanwarias offer Ganges water in the Shravana month?